The menu is an essential part of any food service operation. Using the menu as a management tool in every area of operation - from planning the facility and purchasing food to promoting items to customers and providing exceptional service - can help ensure success. 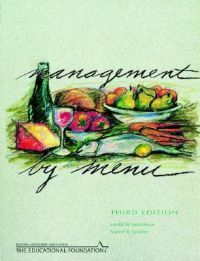 This book serves as a guide both to developing a menu and to using it as a control document.